Rocklanders can enjoy the national pastime and salute our nation’s heroes next Saturday in Pomona. 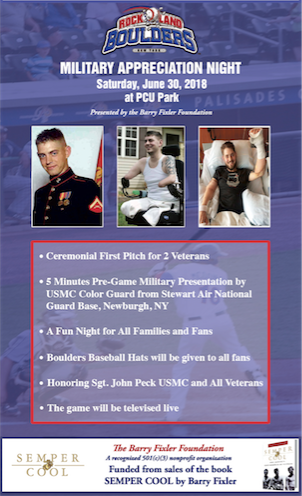 Palisades Credit Union Park will host Military Appreciation Night, sponsored by the Barry Fixler Foundation. Among the special guests is the amazing and inspiring Sgt. John Peck. While serving as a US Marine, Peck lost both of his arms and legs in the war in Afghanistan. 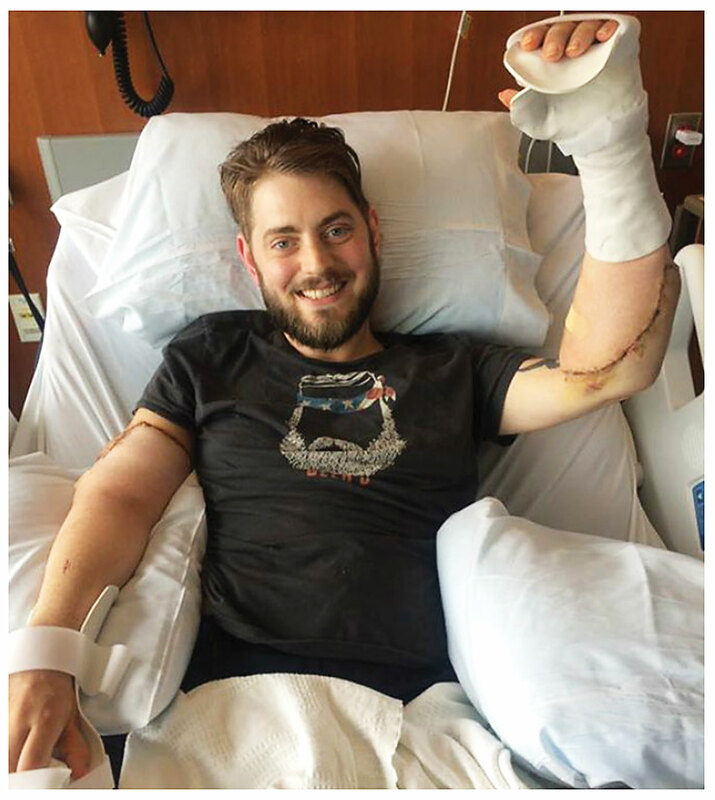 He never quit on life, however, becoming one of the first to have successful arm transplant surgery. Learn about Peck’s story and about the great charities that help wounded vets. Most of all, have some fun with friends and family at the ballpark. If Peck feels ready for it, he may throw out the first pitch. The Barry Fixler Foundation is the event’s main sponsor along with the Rockland Boulders. Fixler, owner of Barry’s Estate Jewelry in Bardonia, is a well-known local veteran, having served as a Marine in Vietnam. He is the author of “Semper Cool,” a book about his time in combat, which gained national acclaim and raised thousands of dollars for his foundation. The Foundation dedicates all of its resources to helping wounded vets like Peck recover their lives and spirits.